← What is the Denture Process? Of recent, the societal importance associated with white teeth is quite high. Eating food substances like wine, soda, coffee, tobacco, dark berries, and tea, our teeth will, at the end of the day, discolor your teeth. Poor oral hygiene can also result in losing your teeth’s natural white. The best way for you to get your which teeth back is through Teeth Whitening. Teeth whitening is a general cosmetic dentistry procedure that helps in improving the appearance of your teeth. Through teeth whitening, the enamel will be restored to its natural color. For your Teeth Whitening in Ocala, always consider the services of a dentist that has the right experience, expertise, knowledge, and also capable of delivering fast, and effective solutions. Dr. Sand’s dental office is the ideal option for you. At Dr. Sand’s dental office, we are well aware of the importance of having a white set of teeth. Our teeth whitening procedures are aimed to make your teeth cleaner, whiter, and brighter. We are always ready to help you enhance your smile. Our teeth whitening procedure is known to yield effective results. You can anticipate a noteworthy color change in the color of your teeth within a short period when you make use of our Professional In-Office Teeth Whitening solution. Our well-experienced dentists will be responsible for handling the procedure. They will make use of high-concentration peroxide gel to clean your teeth. Compared to over-the-counter bleaching pens, strips, or mouthwashes, this method is very effective. You will get back your bright, white smile within a short period. Why Choose Us for Your Teeth Whitening in Ocala? Dr. Sand’s Dental Office is always ready to help get back the natural white color of your teeth. Our team of dental experts knows how to provide an effective solution to your colored, stained teeth. We are always ready to provide you the ideal solution to change your teeth’s color to white. Each and every one of our methods is fast and reliable. 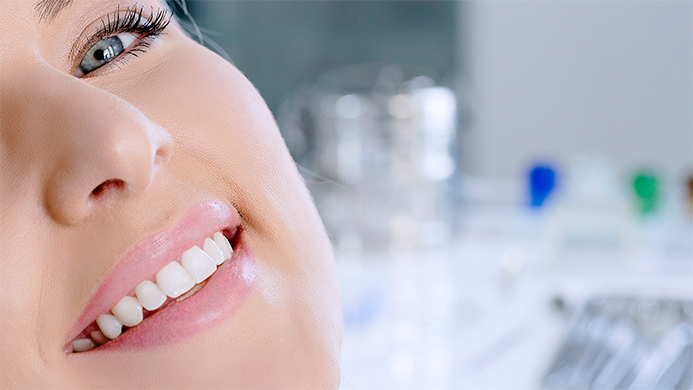 Teeth whitening in Ocala done at Dr. Sand’s dental office is assured to whiten your teeth. In case you will like to know more about our professional teeth whitening procedure, please contact our office. Our team of well experienced dentists are always on ground to answer all your inquiries. This entry was posted in dentistry and tagged ocala dentist, ocala white teeth, teeth whitening in ocala. Bookmark the permalink.